Qbox is an extraordinary solution for QuickBooks access. You want the easiest way to access your QuickBooks company data file from two or more locations without the worry of corrupting the data nor incurring the cost and experiencing the lag time that hosting the file typically entails. Qbox may be the answer for you. It certainly is perfect for me. Essentially, you’ll be working with a local QuickBooks file on your own computer but you’ll be locked out of it whenever someone else is accessing an exact copy of that file on their own computer, and any changes either of you make will post into both locations so you’re always in sync. Okay, I know it’s a new concept and tricky to grasp at first but it’s SO COOL! Here’s an example of how it works. I need to work on a QuickBooks file at my office. My business associate also needs to work on the same file while she’s in her office. We both have licensed copies of the exact same QuickBooks version installed on our computers. We have a Qbox subscription. Don’t worry – it’s super affordable at $9.00 per month. I have a copy of the QuickBooks file on my computer. She has a copy of it on her computer. When I work in the file, Qbox stops my business associate from working on her copy of the file until I’m finished. Then Qbox posts all of my changes into her copy of the QuickBooks file on her computer so we’re in sync. Then it unlocks the file so she can work on it. While she works on the file, I’m locked out of it on my computer. As soon as she logs out, Qbox sends all of her changes over to my computer so once again, our two copies are in sync – exact copies of the same data file. Now here’s the really big news. 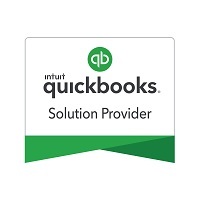 This is a fantastic solution for QuickBooks Point of Sale users who must have their financial software and data located at the store so it can integrate with Point of Sale, but they need to work in the QuickBooks financial file at home or another office location. With QBox they can do exactly that. What you may have done wrong when you restored your QuickBooks backup file! Have you ever noticed that when you print a journal entry in QuickBooks you don’t get the full picture? How to reduce your merchant services rates with one simple phone call. If you use Intuit’s merchant services because they fully integrate with QuickBooks, you’re already using the most efficient means of accepting credit card payments from your customers. However, you may not realize how easy it is to lower the rates you pay for this service. Is your business brand new with no credit history or has it been around for a while? Are you a new merchant services customer or an existing customer who has now established a history of at least 6 months with your service provider? Is your credit card sales volume increasing as your business grows? Rates are generally based on how valuable your service provider perceives your account to be for them and how motivated they are to keeping your business. Of course, they’re also limited by how much they pay to their own processing company. If you’ve had a merchant services account with Intuit for at least 6 months, you can call 1-800-558-9558 and ask their compliance department to review your account. You may now qualify for lower rates based on the experience you’ve established with your account. It just takes one phone call to find out! One of the most arduous tasks in setting up either a new QuickBooks file or a QB Point of Sale file is entering the Items. I find that many people spend an excessive amount of time entering each item individually. With either program, the easiest method for entering many items is to use the built-in Item template. There’s a trick to making this easy, but it’s a simple one. First, enter at least one of each type of item that you’re going to use: inventory, non-inventory, service, and other charge. Leave any group items or assemblies items until later. 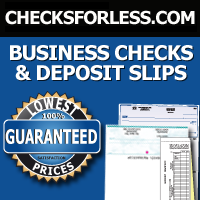 Those are best entered directly into QuickBooks. Next, using the built-in utility, export your item list. The menu path is File/Utilities/Export/Items. This will export as an *.iif file readable in Excel. Open the file in Excel. The Text Import Wizard will pop up. Don’t worry about understanding the instructions. Just click NEXT, NEXT, FINISH and you’ll be fine. Now just enter all of your items into this spreadsheet. Often you’ll already have your items accessible in another Excel file so you can just cut and paste into this file. IMPORTANT: Don’t change anything in the column header row, or anything above the header row. In column “A” enter INVITEM for all newly entered items. Be sure to enter the Item Type and use the exported items as examples for the correct code. When saving the file, answer YES, you do want to keep the file in *.iif format. You’re not starting from an empty template so there’s less confusion as to what each field represents. You can easily see which columns represent the fields you’ll typically use. You can copy the exact spelling of item types and column A text that QuickBooks expects to see when importing. You don’t have to worry about which excel fields to map to which QuickBooks fields because that can lead to errors and frustration. For POS, the process used to be essentially the same as for QuickBooks until POS version 10.0 came out. Now the import process is a bit different. If you use the built-in template, you can’t export existing items within the template in order to see what fields you should use. So you have two choices. One is to follow the steps I’ve described. Then, during the import process, select Custom File instead of Default Template and use the mapping feature to match up the spreadsheet columns with the POS fields. The other is to start at File/Utilities/Import, select Inventory Items/Default Template/Open Import Template, and enter all of your data into the spreadsheet. There won’t be any existing items for you to look at so just be sure to enter two required fields for each new item, Item Name and Item Type. I recommend that you DO NOT enter an item number (column A). This field is for POS to use in assigning a unique sequential number that it uses for its own purposes including bar code creation. This entire process needs to be performed on the POS server workstation in single user mode. My final suggestion is that you try the whole process with just a couple of items until you’ve figured out any quirks and you feel comfortable with the process. From there it should be smooth sailing!